Murad® Hydro-Dynamic Ultimate Moisture is promoted as a lightweight hydrating cream that is marketed to offer 24-hour hydration and visibly improves the look of fine lines and wrinkles. However this product has a MSRP of $72, which may be expensive for some individuals. 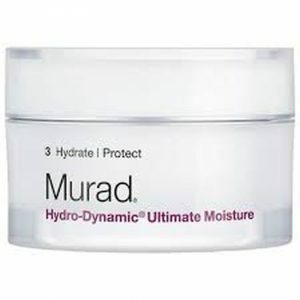 Murad® Hydro-Dynamic Ultimate Moisture states that it retains water and offers long-lasting hydration to the skin. It is also intended to smooth the skin texture and restore suppleness.